Technology is about to get a whole new type of magazine, with tech. launching on iPad to bring you an interactive look at the key events of the week. 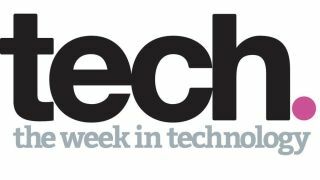 Published by the makers of TechRadar, tech. is an exciting new launch for iPad owners, with a weekly look at the biggest events, and how the assorted media covered them, on sale every Thursday. Priced at just 69p (99c) an issue or £19.99/$28.99 for an annual subscription, tech. is set to bring some huge innovations to the world of tech media. TechRadar's own Marc Chacksfield has been hard at work in the role of launch editor creating the first issue of tech. Marc explains the thinking behind the magazine, which aims to celebrate the fact that technology is the fastest-changing, most exciting industry around. "Out every Thursday for the iPad, the magazine will take a reflective and interactive look at the week in technology," says Marc. "tech. will gather the most informed opinion around and package it all together into an entertaining and interactive read that's perfect for those who just don't have the time to endlessly check websites for news." Nick Merritt, publisher of tech. and TechRadar, calls tech. "a truly unique technology magazine," adding: "No single website has all the best reaction and opinion, and no app provides a first class curated experience. "This magazine solves the problem, bringing all the really essential technology writing together into one smartly edited whole, every single week. Personally, I can't wait to read it." tech. will be on-sale every Thursday and the first issue will be on Apple Newsstand 29 November.